I read this article and found it very interesting, thought it might be something for you. The article is called We’re New Here: Erol Basak – AYLA and is located at https://www.totallydublin.ie/more/features-more/were-new-here-erol-basak-ayla/. 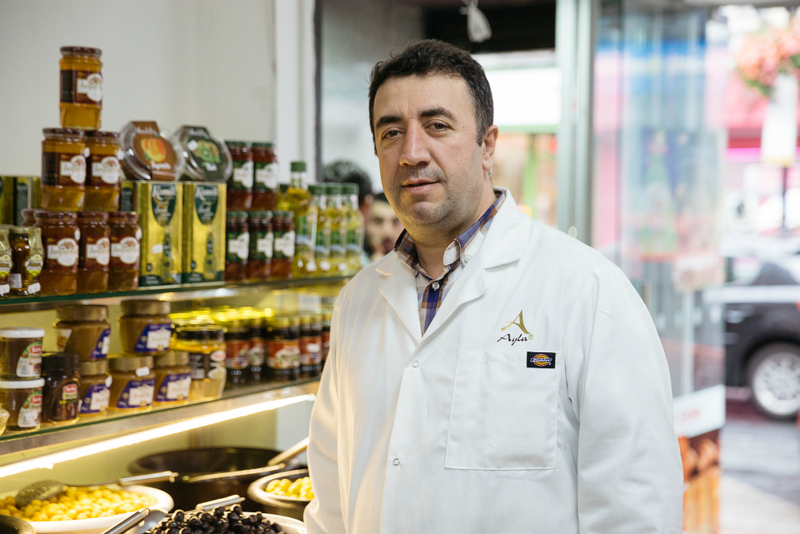 When asked why he chose Capel Street as the location for his Turkish-Mediterranean food emporium, Ayla, Erol Basak pointed outside. “I see here many different cultures, many different people passing by. Most of the neighbours are from different countries, and I thought it would be good to be in the middle [of this mix].” The problem, of course, with being in the middle of the mix is that you might get swallowed up in it. If this is something Erol worries about, he didn’t show it. Among the indeed “many different cultures, many different people passing by,” and the polyglot buzz that that stirs up, Erol remained placid, hands in his white lab coat, standing just by the entrance of his new shop. He is originally from Istanbul and moved to Ireland with his family eleven years ago. He had worked in a family-run fashion manufacturing business in Turkey and decided to start in Ireland a new venture in a new sector, food. But finding a location for it was not easy. “I looked in Dame Street, Aungier Street, Moore Street and I couldn’t find [a space]. They were too expensive.” As luck had it, 30 Capel Street soon became available. After securing a lease, he got to working on the space, which was once a hardware store, and made it his own. There is a halal butchers in the back, a supermarket in the middle—which is divided in half by a row of chest freezers: Turkish foodstuffs on one side, Brazilian, Eastern European and Asian on the other—and a bakery in front. 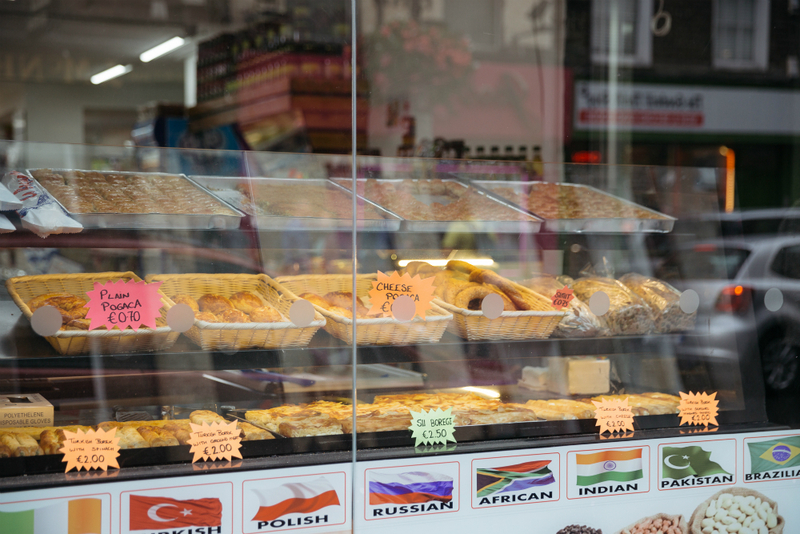 The day I spoke with Erol, a lot of the people coming into the shop had been drawn inside by the display of baked goods at the shopfront. There was baklava, börek, Turkish-Greek pretzels and all sorts of rolls. He offered me something to try. I chose a piece of börek, a type of pastry found in Mediterranean, Eastern European and Western Asian cuisines. It is made of thin layers of filo dough and filled with feta cheese, potato, meat or spinach. (For whom it may concern: Erol said they are looking into a possible vegan iteration of börek.) Each piece looks like two flaky, foot-long spring rolls attached at the hip. I chose the spinach one. It was delicious. One of the customers that day was an older man wearing a navy blazer, a navy shirt and glasses. He had about him the air of someone who will suffer no nonsense. He came for the pastries. Did he need any help choosing? “No, no, no,” he said, not rudely but insistently. “I know what I want.” This was his third time in the shop and he is familiar with it. He buys six pieces of baklava. Erol thanked him for stopping by. “Not at all,” he said. “It’s nice to be here.” To be a gracious host you need to have been, at one point, a guest. And vice versa.